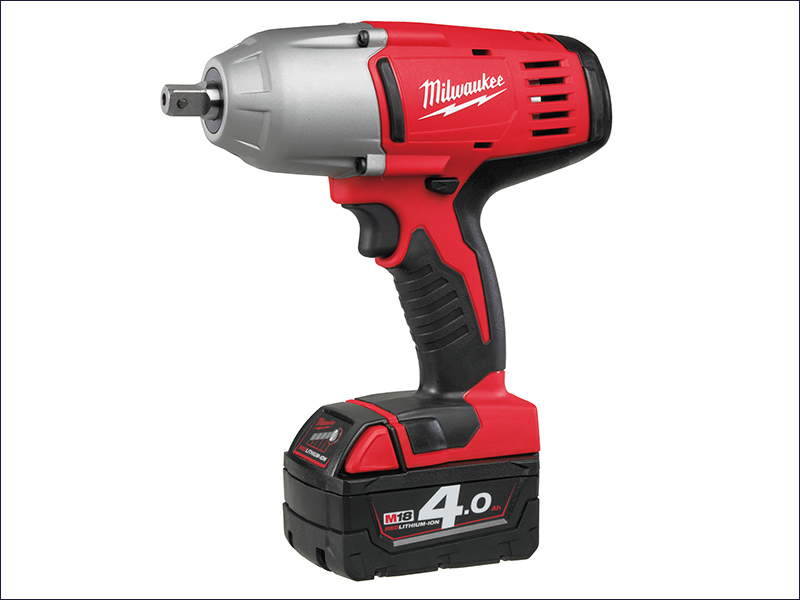 Milwaukee® M18 HD18 HIW-402 1/2in Impact Wrench is the most powerful 18 Volt cordless impact wrench on the market, with a 4-pole frameless motor it delivers a staggering 610 Nm of torque, ideal for powering through the toughest of applications. Has a 1/2in square drive with a friction ring for secure socket retention, and is ideal for heavy applications such as steel fabrication, mechanical fastening, industrial construction and automotive work. Has a light weight and ergonomical design, and the fuel gauge displays even whilst charging. No Load Speed: 0 - 1,900/min.